3-inch thick border in front[horizontally]and the sleeves. 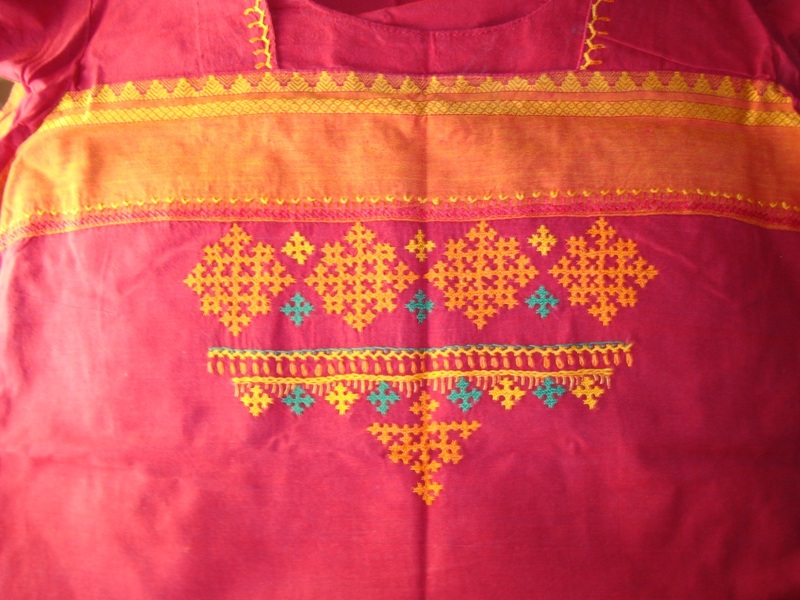 This type of tunic design was popular at that time. 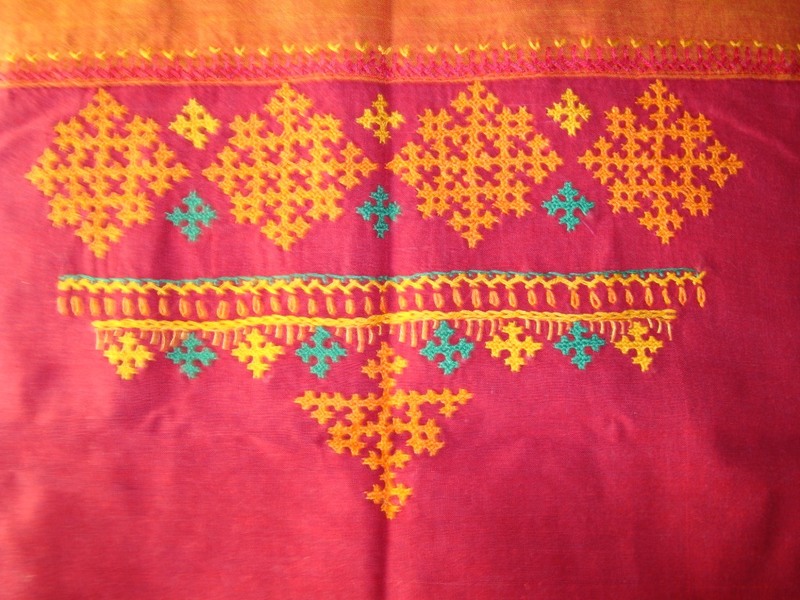 This colour combination was common on kanjeevaram silk sarees. The border already had temple[pyramid] and checked pattern . For the neck, the stitches were herringbone and detached chain. On the other side of the border, I worked a row of cross stitch and a variation of fly stitch. I chose a diamond kutchwork pattern and repeated it in medium yellow, to form a small border, in between did some small kutchwork motifs in darker yellow and green. Small kutchwork in green and dark yellow on the valleys of buttonhole. Then finishing off with a variation of the diamond kutchwork motif. The green thread looks like bluish green in the picture. Choosing colours for this tunic was very easy[ traditional].I wore this for a long time. Since , I don’t want to say I had gained extra weight, let’s declare that , the tunic shrunk after a few years! I wore a yellow[ border colour] Indian pants for this tunic.